Epic …the word is so overdone these days. But cat skiing at Brundage Idaho is just that. 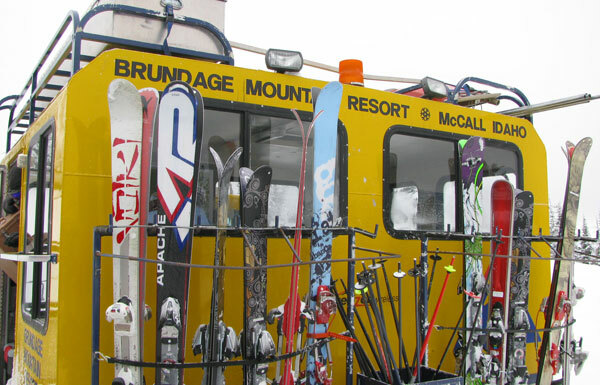 Picture a private snow cat, your million dollar mountain limousine for the day, delivering you and seven lucky skiers to slope after slope of open snow bowls, gorgeous deep and steep runs amid a scenic national forest. Big fat powder skis are provided so you can float over fresh powder with the least effort. 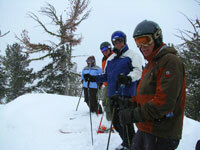 And best of all, you can bring your kids cat skiing – provided they are expert skiers (15+ recommended). As a pink tinged sun rises over the Salmon River Mountains, your two guides debrief about snow safety, avalanche peeps and protocol. All the while, the snow cat is rumbling up steep, un-skied terrain. No lifts, no lodges – just you, your ride and your two expert guides. 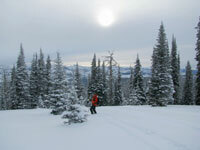 19,000-acres of the Payette National Forest is accessible from Brundage ski area’s exclusive cat ski operation. 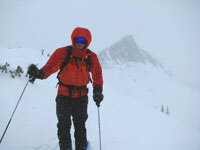 Cat skiing is cool, call it poor man’s heli skiing at $199 for a half day, or $299 for a full of day with a catered lunch in a cozy 7,800 mountaintop wood fired yurt. 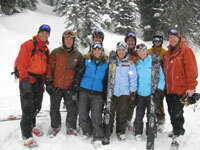 You can sneak a day into your Idaho ski trip without booking a big ticket heli-trip. Also, unlike heli-skiing, you can bring your kids if they are expert skiers (of course you run the risk of spoiling them with an expensive addiction).